Science Minus Details: What is Nuclear Radiation and How Can It Hurt Me? 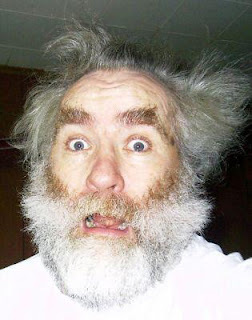 People get really freaked out about nuclear radiation. Since we are all really freaked out by the ongoing trouble with Japan's Fukushima nuclear power plant and the hazards posed to the Japanese population by escaped nuclear radiation, let's figure out what nuclear radiation is, and let's begin by talking about radiation in general. The word radiation is used to describe any type of particle or wave that is moving through space really fast, which encompasses lots of things. The kind of radiation that will be most familiar to you is LIGHT, which is a kind of electromagnetic radiation. 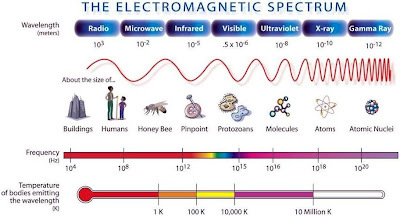 Electromagnetic Radiation, so-named because it consists of electric and magnetic waves that fly through space together. Electromagnetic radiation can have a tiny amount of energy, a huge amount of energy, or anything in between. Visible light, the kind you use to see, is electromagnetic radiation that has a medium amount of energy. 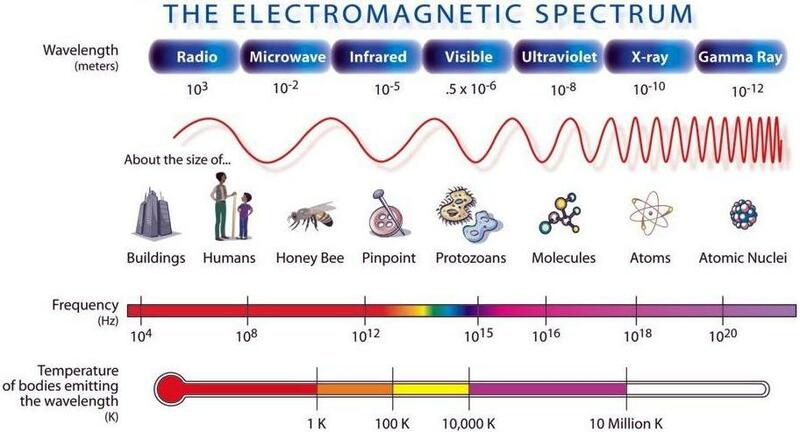 Here is a picture of all the different kinds of electromagnetic radiation. We're talking about electromagnetic radiation because nuclear radiation gives off the highest-energy form of electromagnetic radiation, known as gamma rays. These are the type of nuclear radiation that pose the greatest health risk to life. Gamma rays are dangerous because they can penetrate deep into your body, and shielding yourself from them takes lots of matter (the element lead is commonly used for this simply because it is very dense). Once in your body gamma rays can knock electrons out of your atoms, which in the short term results in symptoms of "radiation poisoning" (nausea, vomiting, bleeding, death) due to large numbers of cells in your body dying. In the long-term, gamma rays knocking electrons out of your atoms can cause changes in your DNA that lead to cancer. 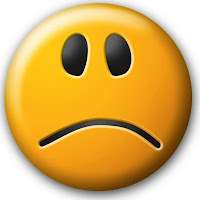 If too many protons, neutrons, or both are crammed into the nucleus of an atom, the nucleus will be unhappy and will reduce its size in a number of different ways, giving off LOADS of energy in a process known as radioactive decay. Nuclear power plants use the elements uranium and/or plutonium and capture the energy of their radioactive decay in the form of heat (Clear Science! has three nice posts about nuclear power that you should check out sometime). When uranium or plutonium undergo radioactive decay, they transform into a wide variety of elements with smaller nuclei (for more go here). In this process of becoming smaller, three main types of radiation are emitted, known as alpha (a), beta (b), and gamma (g) radiation. Gamma radiation we have already discussed. It is released when the nucleus of an atom doesn't change size at all, but instead just rearranges how its protons and neutrons are packed together. Gamma Decay, the rearrangement of nuclear structure. Alpha radiation we learned about in the last post about helium because it occurs when a radioactive nucleus gets smaller by spitting out a helium nucleus. The resulting helium nucleus has lots of energy and is also known as an alpha particle. Alpha Decay, ejections of a helium nucleus, also known as an alpha particle. Beta radiation occurs when a neutron turns into a proton by spitting out an electron, which in this instance is known as a beta particle. Oh, and a neutrino is also ejected (neutrinos are really cool, trust me, read more here). Beta Decay, neutrons turn into protons by spitting out high energy electrons and neutrinos. The main thing distinguishing the danger posed by these three types of radiation is how far they can travel into your body. We already talked about how gamma radiation is dangerous because it is a form of electromagnetic radiation that can hit and damage any part of your body, inside or out. Beta particles however, having more particle-like properties than gamma rays, can penetrate only small distances into your body, and can even be stopped by thick layers of clothing. Alpha particles are relatively large and can't travel any further than the outer layers of dead skin on your body, so external exposure is relatively benign. Alpha and beta particles aren't sounding scary at all, huh?? Well, here's where nuclear radiation differentiates itself from electromagnetic radiation in a really bad way. Gamma radiation may be able to penetrate your skin and organs, but alpha and beta particles can be released inside your body when you breathe in tiny amounts of radioactive material or eat foods to which they are stuck. The intensity of normal cancer-causing electromagnetic radiation like x-rays drops dramatically the farther away you travel from the source. Radioactive materials however, can travel great distances by being blown around in the wind and eventually settling back down to the ground (a.k.a. nuclear fallout) or by contaminating waterways and food chains. In the case of the Chernobyl disaster, radioactive particles were detected over 700 miles away at a nuclear power plant in Forsmark, Sweden. A = Chernobyl, Ukraine; B = Forsmarsk, Sweden. Radioactive material traveled atleast this far. Once inside your body, the radioactive materials are free to emit alpha and beta particles, which cause large amounts of damage much in the same way as gamma rays--messing with the atoms in your DNA, leading to a wide variety of cancers. One particularly insidious example is a radioactive form of the element strontium, which if inside your body can substitute itself for the calcium atoms in your bones and release beta particles, causing bone cancer and leukemia. Another example is radon gas, which is so dangerous because you can easily and unknowingly breathe it into your lungs, where it stays and emits alpha particles, leading to lung cancer. Radon gas is produced naturally by the decay of uranium in the earth's crust, and it can seep out of the ground and reach dangerous levels inside your home, so watch out! My parents had a radon problem in their basement once, but they took care of it. Finally, radioactive iodine atoms are produced when uranium atoms split apart, and if inside your body, those iodine atoms concentrate in the iodine-containing hormones in your thyroid gland and give you thyroid cancer. This is why people are instructed to take potassium iodide pills when uranium-decay products are released into the atmosphere, in an effort to swamp your body with non-radioactive iodine atoms to out-compete the radioactive iodine atoms for space in your thyroid gland chemicals. In summary, nuclear radiation contains LOTS of energy in the form of both light waves and particles. The properties of nuclear radiation make it great for use as an energy source (good), but those same properties mean it can cause lots of damage to life if released into the environment (bad). This was really, really helpful. Well done. Clear thinking and writing. Science is a candle in the darkness! If any level of nuclear radiation is harmful, how come people with an exposure of about one rad per year don't get cancer at all? I would gladly live in a region where radon gas would give me that level of exposure. Where did you get that information that "any level of nuclear radiation is harmful"? or about people who "don't get cancer at all"? Probably an obvious question, but in the event of a catastrophic nuclear event, how would one survive nuclear fallout (if assuming they survived the blast) if the radiation sticks and seeps into everything? What is the minimum depth one would have to be at to prevent being exposed to nuclear fallout if they were say, living in a shelter or a cave system? How long would it take for the radiation levels to be at "acceptable" levels to resurface? Glad you liked the article. Unfortunately the answers to most of your questions depend totally on the amount and type of radiation source. How far away you should get from a source of nuclear radiation and how long it will take to return to safe levels would be very different if you were dealing with a truckload of radioactive material rather than a sprinkle, or anywhere in between. Pretty unsatisfying answer, I know. Unfortunately, specifics on levels of safety are really beyond my area of expertise. Here's what I do know. The intensity of gamma radiation falls as a function of your distance from the source by a relationship known as the "inverse square law" http://en.wikipedia.org/wiki/Inverse-square_law One example of that is that the intensity you receive 2 meters from the source is 4 times less than the intensity you receive 1 meter from the source. This basically means that getting away from the contaminated area is pretty effective. This inverse square law assumes nothing blocks the radiation. So, if you can't get away from the radiation source, the best thing to do is to put something between you and the source, such as the walls of a shelter or cave, as you suggest. The thickness of those walls depends on the density of the material from which they are made (lead walls can be thinner, cardboard walls have to be way thicker). Again, the exact thickness needed depends on the amount of radiation. The second thing a shelter or cave needs aside from thick enough walls is a ventilation system capable of preventing radioactive particles from entering. The wikipedia entry on fallout shelters says "extensive filters are not required," but the referencing there is insufficient in my mind, so I'm not certain on this point. Sorry for such an unsatisfying answer here. The questions you ask are more complex than they may seem. I wish I had more time to investigate them fully and provide you with a detailed answer, but I unfortunately don't. 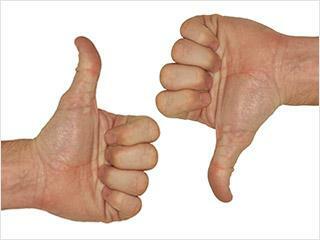 I would encourage you to leave a reply back here if you find any good articles. I have a piece of silicon 36 in my foot. A bad guy sprinkled little pieces in my carpet and I did not get them all vacumed up. Some have said it is a low level radioactive, but I don't know. It sets off the wand they check you with in the airport. Richard Eckert, Boise. I'm not sure if this is a serious comment, but if it is, you should see a doctor immediately. As far as I can tell, silicon-36 would decay very rapidly into phosphorus-35 and phosphorus-35, which would decay rapidly into sulfur-35 and sulfur-36. The latter is stable, while the former would decay slowly (halving in concentration every 86 days) into chlorine-35, which is stable. So by my super-duper crude estimates you should be non-radioactive in a year or two (unless you get the pieces removed, like it seems you should do). As for the airport wands, I haven't been able to find a good source on what exactly those airport wands detect or how they work (probably for good reason). I thought they simply detected metals, but it seems plausible they could also detect radioactivity and explosives and such. However, given all the other machines they have to detect explosives, it seems likely that all these wands do is detect metals. This would suggest that this "bad guy" did not sprinkle silicon-36 on your carpet, but perhaps some sort of metal, like iron. Additionally, where did this "bad guy" get silicon-36? This is not something you can just go buy in a store. So... I heard that serious radiation can cause birth defects, right? What from the radiation causes these defects-I know the Chernobyl disaster had many cases. Thanks a lot! 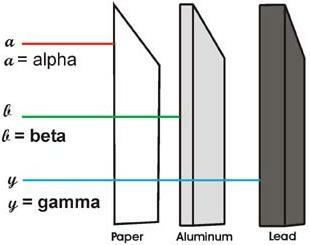 As stated above, nuclear materials result in alpha, beta, and gamma radiation. I'm honestly not certain which of these results in the birth defects. But essentially all of them are harmful because they can interact with the atoms that make up our bodies. Some of these atoms are in our DNA. Given that DNA controls development, changes to the atoms in this DNA can result in abnormal development.